The ​Raiders exit from Oakland is going to be somehow uglier than we first thought. The city of Oakland is suing the Raiders and the ​NFL for what is being described as an "illegal move" to Las Vegas. The city filed the lawsuit in federal court on Tuesday, challenging the relocation of the Raiders and seeking monetary damages. Yes, this could certainly send the Raiders scrambling next season, well before their stadium in Vegas is completed. As if the Raiders poor play wasn't enough, they needed more issues this year. The Raiders have plans to move to Las Vegas, but the city of Oakland believes that all 32 NFL teams colluded as one in order to force cities like Oakland to finance new stadiums. The city believes that they were exiled from the marketplace due to their failure to pull together funds to support the construction of a new stadium. The city of Oakland also claims that both the Raiders and the NFL violated their contract with the city, stating that the move benefits owners and harms Oakland's residents and taxpayers (they're not wrong). Oakland is suing the NFL and the Raiders over what it terms the Raiders' "illegal" move to Las Vegas, per Oakland city attorney spokesman. Suing on federal antitrust and contract claims. 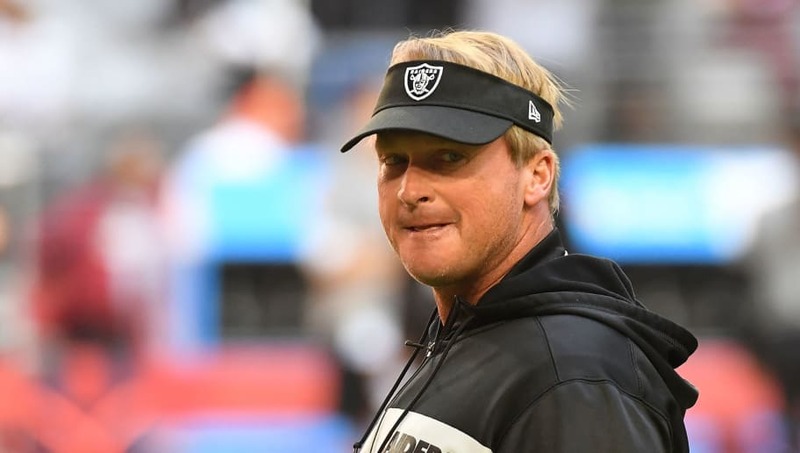 This is not the end of the Raiders tenure in Oakland that fans would have expected, but it will certainly be interesting to see how the scrambling solves itself. Unfortunately, it seems like whatever the conclusion is, one city will be left seriously disappointed and without a football team.